Since it opened at the end of 2014, San Francisco's Mr. Holmes Bakehouse has had lines stretching out the door, thanks primarily to its Cruffins, the hybrid that combines the buttery flakiness of croissants and fluffy tenderness of muffins. While SF does have far more favorable winter weather for waiting in lines than, say, NYC and its Cronuts, I still don’t want to spend my mornings stuck on a sidewalk. 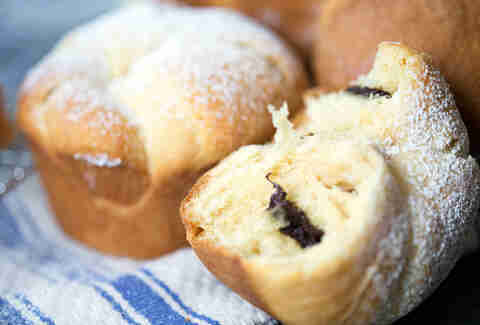 Thankfully, I don’t have to: using a few tubes of Pillsbury crescent rolls, I can make chocolate Cruffins at home. They’re ready in 30 minutes, which means I can have six Cruffins to eat before I’d even get to the front of that bakery line, and be left with extra time to be lazy and relish in my gluttony. Preheat the oven to 350℉. 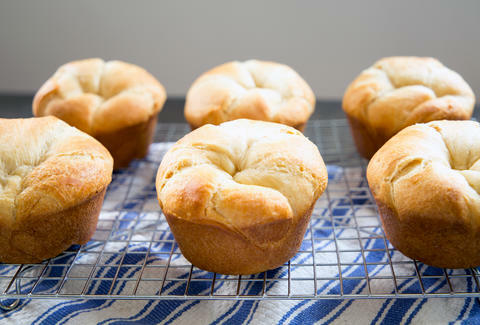 Lightly coat a jumbo muffin pan with cooking spray; set aside. 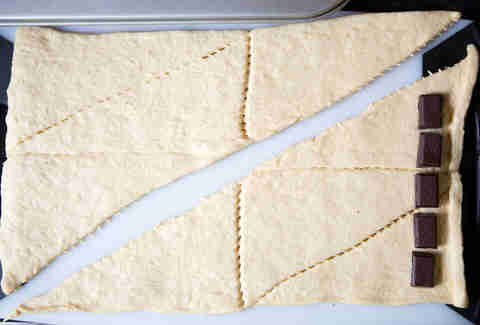 Open a can of rolls, spread it out on a cutting board, and split it into two sections diagonally (so you have two large triangles). Be careful to keep the other perforated seams attached. Break chocolate along its seams into small squares and line them up along the short side of the triangle. 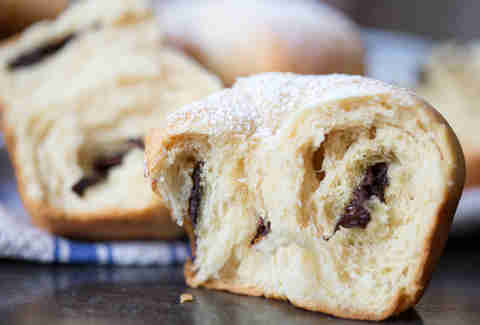 Roll the dough over the chocolate and keep rolling toward the tip of the triangle. 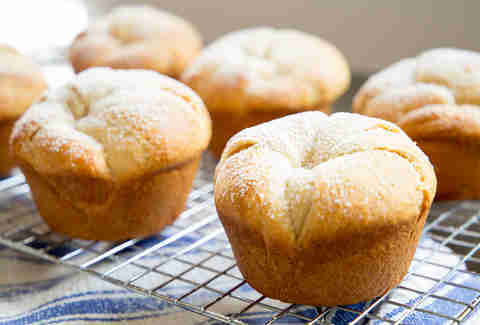 Tuck the ends in to make a bun and place in the muffin pan. Repeat with remaining crescent dough. Bake for 15-17 minutes, until golden. 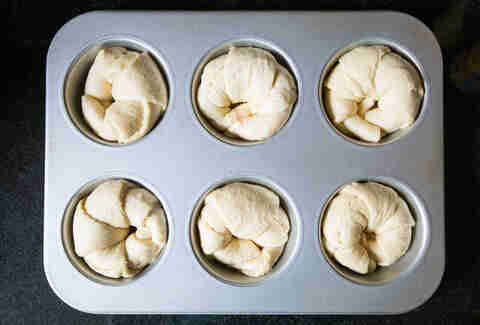 Remove from pan and cool the Cruffins on a wire rack.